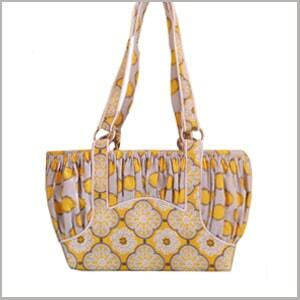 She’s the mother of all bags, the Motherload Tote! Like you, this mom can go from daycare to dance class, and the beach to the ballpark without skipping a beat or leaving anything behind! 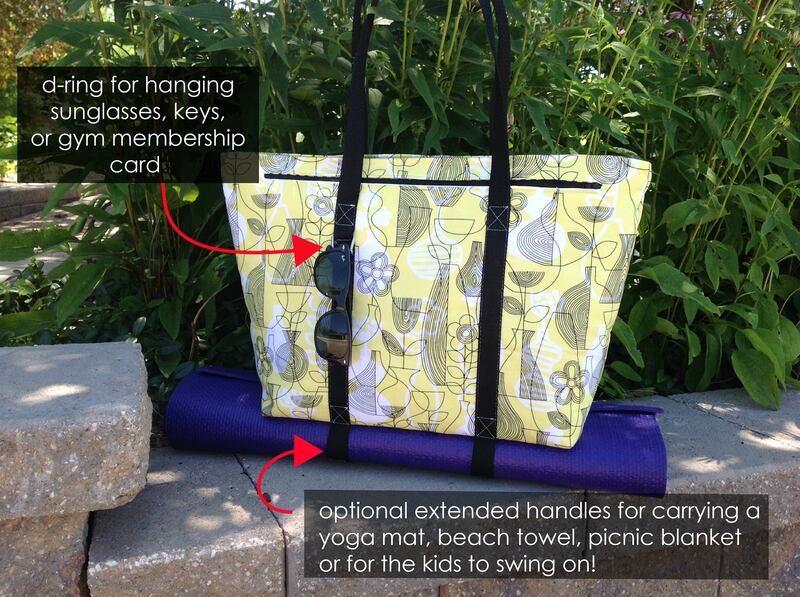 – Optional extended handles can carry a yoga mat, beach towel or picnic blanket below the bag and tightened up in d-rings when not in use. – An exterior accessory d-ring offers a convenient place to hang keys, sunglasses, gym membership card, or just for a bit of bling. 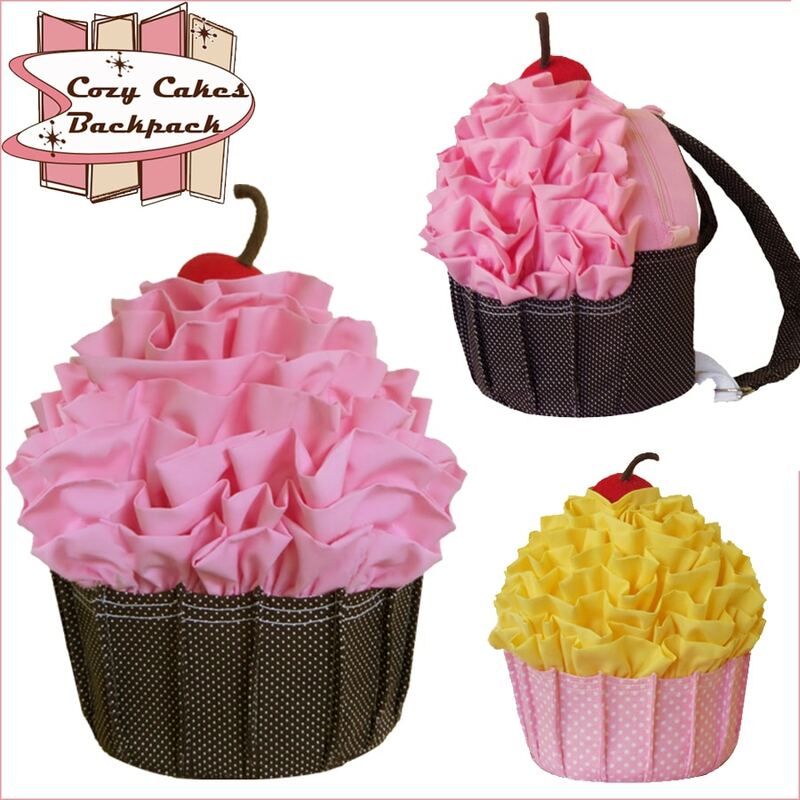 – 2 roomy, separate interior compartments that are easily customize to your needs. 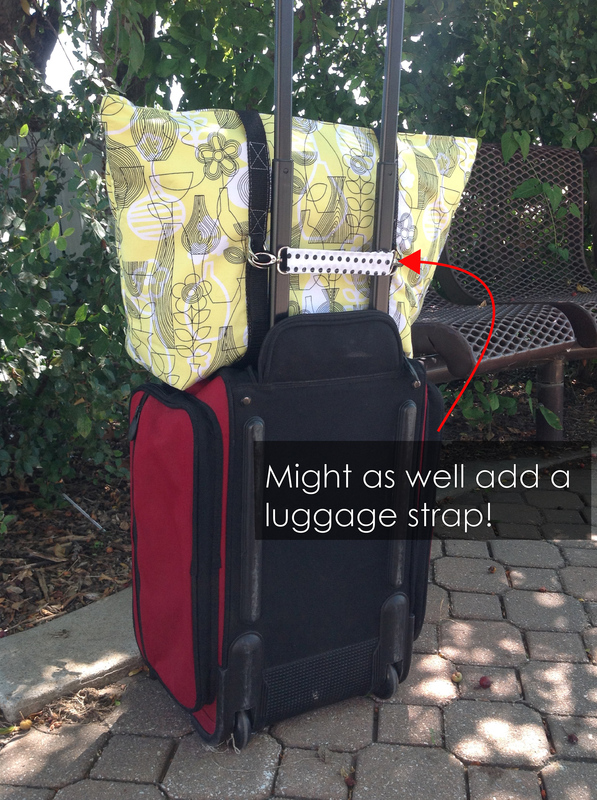 For example, if you carry wet swimsuits, stitch one up in a laminated fabric. 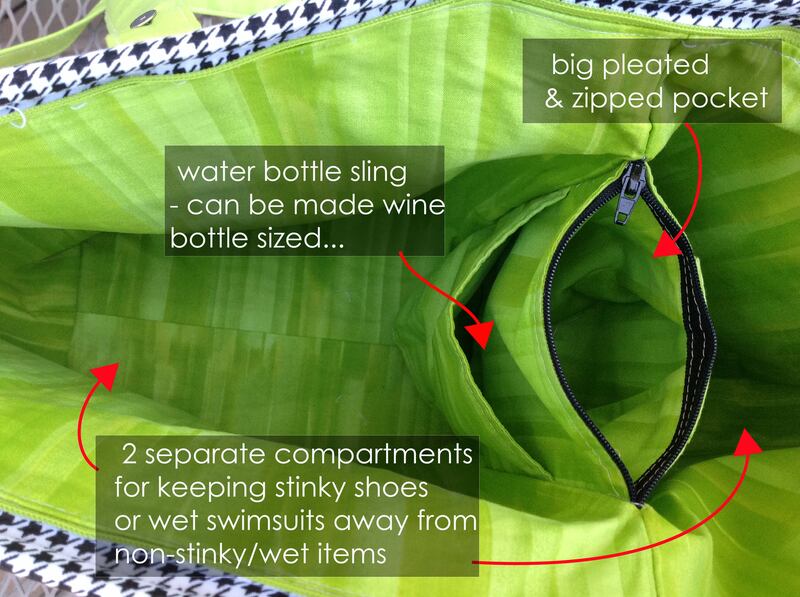 – Between the interior compartments are a pleated, zipped pocket and a water bottle sling – mom’s got to stay hydrated! 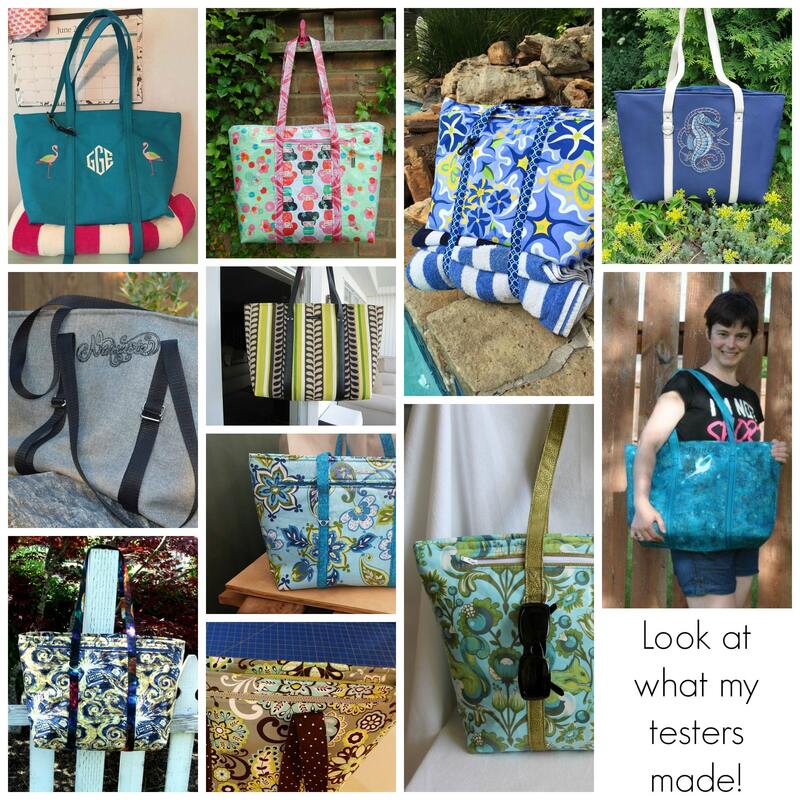 See a whole bunch of Motherload Totes in the gallery. $6.99 – pdf version. Download links will be emailed to you after purchase. Suggested: Pellon Fusible Thermolam Plus (TP971F) or for a firmer bag, use 2 layers of Thermolam, Soft & Stable(r) from byAnnie, Pellon FlexFoam(r)(FF-77) or headliner. 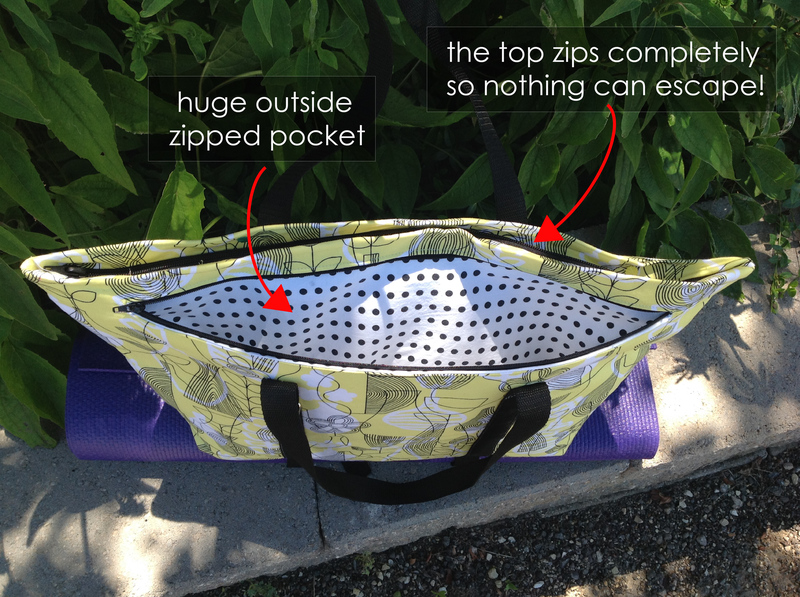 Medium-Weight Interfacing: 3 1/2 yards (20″ wide). 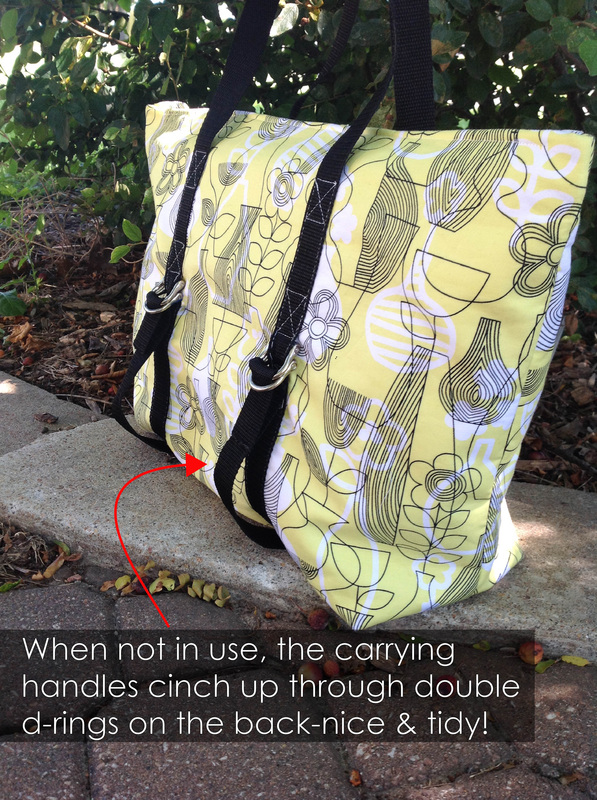 Suggested: Pellon Soft-Flex (SF101) or for a crisper bag and handles use Pellon Craft-Fuse (#808). 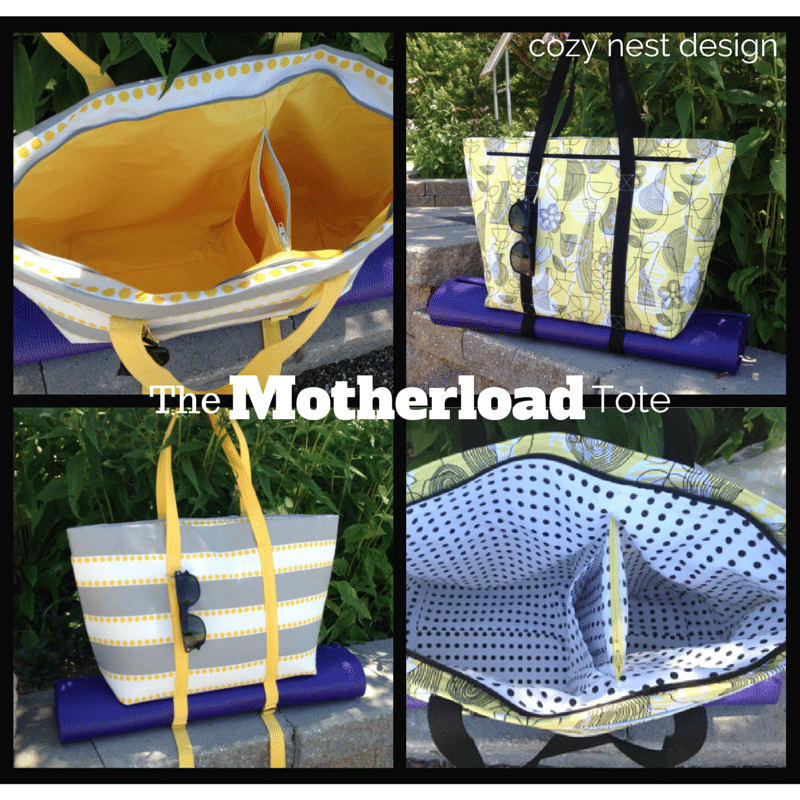 Be the first to review “The Motherload Tote Sewing Pattern” Click here to cancel reply.